Via Emilia features live music Wednesday through Saturday 6-9pm. 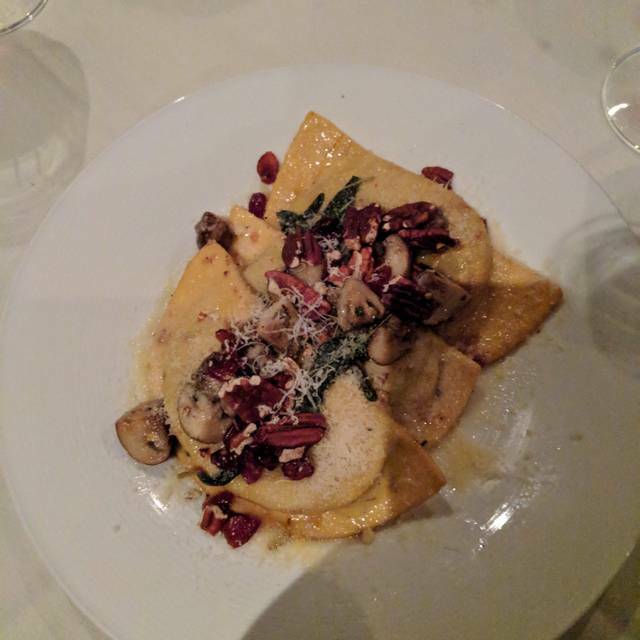 Named after an ancient Roman road that spans from Rimini to Piacenza, Via Emilia Italian Restaurant is known for their house-made pastas, braised meats, seafood specialties, and delicious desserts. The family-owned restaurant served Houston diners for over 13 years before moving to their current location in the Woodlands. 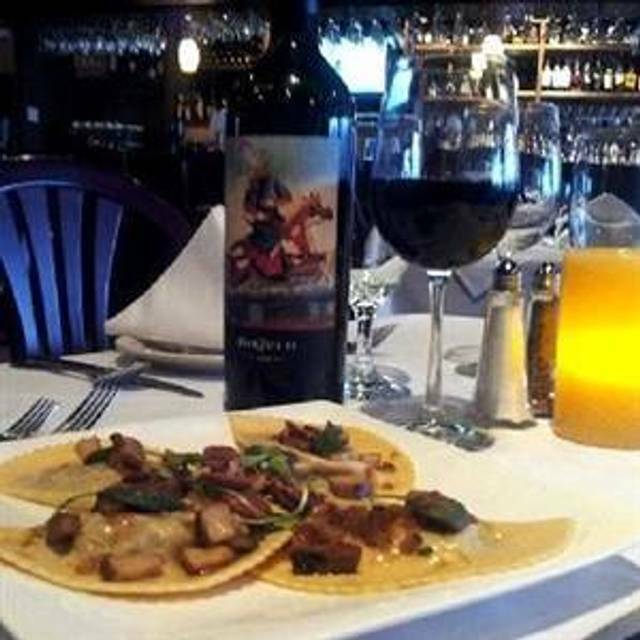 We welcome you to experience the most authentic northern Italian cuisine in the Woodlands - no passport required. Grilled octopus, vegetable vinaigrette, arugula, and fingerling potatoes. Fresh Mozzarella with a creamy filling, Prosciutto, arugula, olive oil, and balsamic reduction. Thinly sliced smoked wild Pacific salmon, red onions, capers, dill, olive oil, and black pepper. Applewood smoked bacon wrapped dates, stuffed with Goat cheese, Mascarpone cheese and chives. Mussels sautéed in white wine and garlic, served with toast. Breaded squid, fried, served with our Pomodoro sauce. Grilled Italian sausage in tomato sauce with bell peppers, and onions. Vegetable soup with cannellini beans, pasta, and chicken broth. Mixed greens, celery, carrot, tomato, red onion, cucumber, and Italian dressing. Sliced fresh Mozzarella, tomato, olive oil, Balsamic reduction, and fresh basil. Lightly breaded eggplant, fried, and topped with Pomodoro sauce and Mozzarella cheese. Served with a side of linguini Pomodoro. Homemade potato dumplings, mushroom sage cream sauce, sun-dried tomatoes, and wild boar sausage. Spaghetti tossed with cream, pancetta, egg yolk, black pepper, and Parmesan cheese. Handmade, half-moon shaped pockets of pasta filled with braised veal and Portobello mushrooms. Topped with a butter-sage sauce and toasted pecans and dried berries. Handmade, half-moon shaped pockets of pasta filled with Ricotta cheese and spinach, topped with a combination of Alfredo, Pesto and tomato sauce. Hand-made, half-moon shaped pockets of pasta filled with butternut squash topped with pork ragu and butter-sage sauce. Italian-style marinated and grilled center-cut filet mignon served with sautéed rosemary potatoes. Pork Tenderloin medallions topped with our peppercorn red wine sauce and mushrooms, served with mashed potatoes. Breaded chicken breast topped with Pomodoro sauce and melted Mozzarella cheese. Served with linguine Pomodoro. Grilled, double-cut New Zealand lamb chops served with sautéed rosemary potatoes. Breaded pan-seared chicken breast sautéed in white wine with capers, lemon, butter and mushrooms. Served with linguine Pomodoro. Breaded, pan-seared veal cutlet topped with caramelized onion & blue cheese sauce. Served with sautéed rosemary potatoes, arugula and tomatoes. Homemade squid ink fettuccini, Pomodoro, scallop, shrimp, squid, octopus, clams and mussels. Grilled filet of Chilean Sea Bass topped with our lemon, butter, caper sauce. Served with grilled asparagus. Grilled filet of Red Snapper topped with white wine, capers, lemon, butter and mushrooms. Served with linguine Pomodoro. Pan seared Parmesan-crusted Tilapia topped with our lemon, butter, caper sauce. Served with linguine tossed with spinach, olive oil and garlic. Romaine lettuce, Caesar dressing, croutons, Parmesan cheese, and grilled chicken. Grilled chicken, baby spinach, Gorgonzola cheese, orange wedges, candied pecans, strawberries, and orange vinaigrette. Pan seared Parmesan-crusted Tilapia topped with our lemon, butter, caper sauce. Served with linguine Pomodoro. Lightly breaded eggplant fried and topped with Pomodoro sauce and Mozzarella cheese. Served with a side of Linguini Pomodoro. Linguine pasta tossed with Pesto sauce. Linguine tossed with meat sauce. Penne pasta tossed Pomodoro sauce with eggplant, onions, basil, and fresh Mozzarella. Homemade potato dumplings in a Vodka cream sauce and fresh basil. Penne pasta tossed with zucchini, garlic, basil, olive oil, and feta cheese, topped with grilled chicken. Creamy Risotto with shrimp, mushrooms & asparagus. Slow-braised goat in a Pomodoro sauce with mushrooms, bell peppers, onions, and black olives. Served with Parmesan Risotto. Veal shank slowly braised in wine, served with Parmesan Risotto. Lamb shank slowly braised in wine, served with Parmesan Risotto. Pork shank slowly braised with caramelized apples and onions. Served with mashed potatoes. It was my son’s birthday and the meal was excellent! food is fresh and authentic... must be a scratch kitchen. Impressive and affordable wine list. Awesome deserts! Used to go often, sad that we went for our anniversary and left so disappointed. Service was horrific, my dish was stone cold and greasy (dish I have ordered before), we had an 60 minute wait from salad course to meal. Server never checked in and she seemed to be avoiding us...couldn't get an 2nd drink even. Not sure what the issue was, our orders were not specialty or involved dishes. Seemed like a moderate crowd for a Saturday night, we did have a reservation so we were not a "fit in". Not sure if I want to go back...it wasn't anything special like it had been in the past. I will say hostess were pleasant, bar area for a pre-dinner drink was nice as always. My wife and I chose Via Emilia for our anniversary dinner. We hadn’t been in some time but the Restaurant has been complexity remodeled inside and had also been expended over the years. The open style was great for lighting but it was a bit noisy. Food was delicious and our server Victor was outstanding. The kitchen was a little slow, likely due to large prom parties but we were not in a hurry. The pear gorgonzola appetizer was a delicious but filling treat. We could not finish our seafood entrees but left room for the amaretto cake which was superb! 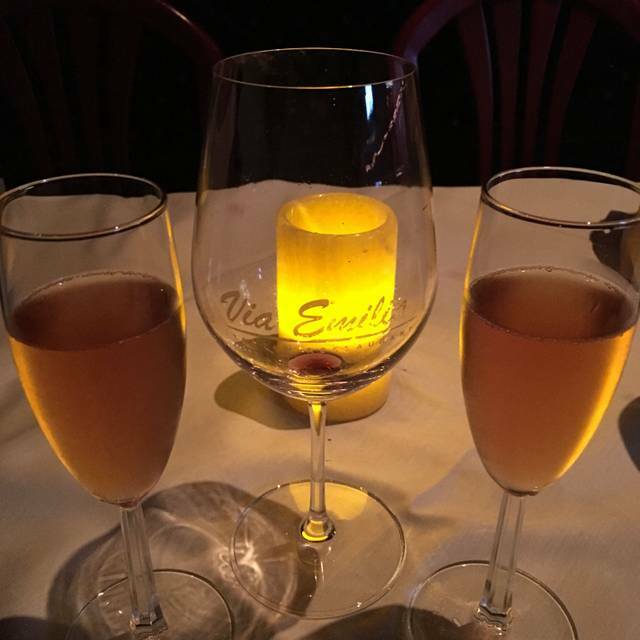 We have always had an excellent experience at Via Emilia. Friday night was the exception. The service was very god. However, the salmon I ordered was not hot and the sauce on top of it was like bottled tartar sauce. It was applied way too heavy and it ruined the asparagus that was under the salmon. I ordered gluten free pasta on the side with pesto sauce. It was literally cold when the waiter brought it. I mentioned it to him and he took it back to the kitchen. He was back in a few short minutes and he said that they recooked it. Overall, not a good experience. Nice restaurant for date night with my wife! Service and food were fantastic. Three out of four meals were amazing. The osso buck ravioli was dry. The service at the bar was amazing but our waitress was terrible. We spent 30 minutes trying to get her to make eye contact to order more wine and another 20 waiting for the drinks. We saw her go and refill the other tables tea multiple times and never return to ours. The restaurant easily could have gotten another $150+ worth of drink sales if she had just come back over. Once again, had an excellent meal with awesome service. The sea bass was amazing!! My wife and I celebrated our anniversary at Via Emilia and were very happy with the entire experience. Every course of our meal was delicious, the menu had a nice mix of classic dishes and items the restaurant had put their unique twist on. Service was pleasant and attentive without being obtrusive. Restaurant ambiance was pleasant. It was great for a special occasion, but we’d definitely go back for a high quality meal at a reasonable price any time. Love Via. Service is outstanding and the food is consistent and always good. Love the ambience and piano. One of the few restaurants in the Woodlands that you can actually converse w your guests without yelling. Via Emilia is a classic neighborhood gem. Nestled within "Suite F" in a mundane shopping center amongst iconic businesses such as Trader Joe's, Starbucks, and Petco, Via Emilia nevertheless shines forth as a truly authentic Italian restaurant that takes pride in offering only the best versions of classic Italian fare. One only has to look at the shower of recent awards to rest assured that you are in good hands with this establishment. Their home-made pasta is impeccable. They are one of the few to offer squid ink pasta in the area, which is a personal favorite of mine. Their wine list is awe-inspiring. For Italian foodies, this place is a must visit at least quarterly. Service was excellent as always. Was disappointed in the Carbonara. In the past it was excellent. This time the cream sauce was a bit deconstructed. The butter was separated from cream and visibly pooled in the bottom of the bowl. It also seemed as if none of the starch from the pasta water was used to bring the sauce together. Wonderful, but would have liked to be away from loud party by the windows. I loved my food, My husband did not care for his salmon griglia, he said it was overcooked and lacking in taste. He felt the salmon he gets at Republic Grill was much better, so was quite disappointed. Great food, service and ambiance; only complaint is piano player played a little too loud at times! Just out of hospital and had 3 grandchildren visit. (All in college) for only a few hours. We wanted good food, friendly service, and nice ambiance. We had all and more at Via Emilia. Thanks to the staff and the chefs, an ideal place for our family! Always excellent! Bring back the onion soup! The special, a slightly breaded red snapper with two shrimp and asparagus was delicious. Wish they had it as a regular menu item. An overall very enjoyable evening. A rare downside for a generally very good restaurant but a little disappointed in the dish we chose. It was our first visit and we were very pleased with quality of food and service. Our server, Rudy, was helpful selecting a nice bottle of Italian wine. Overall experience was delightful and we look forward to returning soon! In my opinion, Via Emilia is one of a kind. I dare to said Via Emilia has the best waitress in the area; awesome people . They love not only what they do, but the place where they work ! So do I and my wife. They have a delicious variety of Italian food, meat, fish, wines and desserts. It’s decorated with such a great taste and the piano man is wonderful. You can’t go wrong with this place. Beautiful restaurant. Great service and great food. My date had the lasagna which she loved and I had the Pork Tenderloin Medallions which was delicious. I would highly recommend this place. We will definitely be back! Food and service is consistently excellent! Best Italian restaurant in town! The service got off to a bad start with no one assigned to our table and ended with no one to bring our dessert, a very long wait. The food was good but the service slow and the food could have been warmer because of long waits.The manager was troubled by the problems and comped us our appetizer and dessert, which was a nice touch. Liked the ambiance and will try again as it seems to be a nice place to eat. We returned to Via Emilia - it had been a while. They changed the interior which was surprising. Our server Mauricio was excellent. He was very attentive in the most perfect way which allowed us to enjoy a relaxing evening. The food tasted good but was on the cool side when served, we definitely like our pasta steaming hot. Overall it was a good evening. Always amazing! Date night or family time, Via Emilia is a great choice. Always a fabulous experience!!! The food and service was impeccable!! Overall the food was excellent as the had the red fish - very fresh and extremely taste. Also we started with the appetizer of the salmon that was equally fresh and taste. We will definitely be back for another meal. Thanks so much, Ron, for the awesome feedback. We're so happy to hear you enjoyed the red fish and salmon. We can't wait for your next visit. See you soon! First time to dine at Via Emilia and we had an enjoyable evening. Thanks so much for the positive review, Kim. 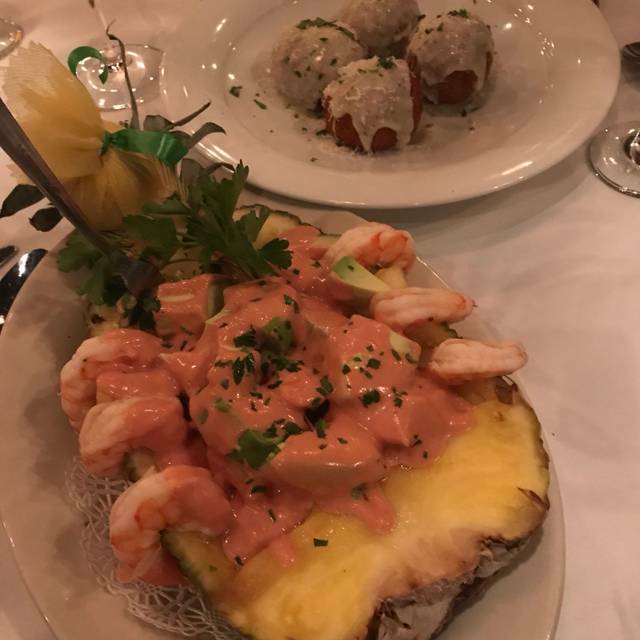 We are so happy to hear you enjoyed your experience at Via Emilia. We hope you come back and visit again soon, and maybe we can earn that 5th star! Wonderful place to celebrate a Birthday with family!! We had a lovely dining experience. Our waitress, Elisa, was wonderful. The food was awesome. We can't wait to visit again! Excellent service and food. Not rushed, very relaxed and enjoyable experience. Great value. A little loud for business conversation. Excellent food and service. Very friendly staff and my server was very nice and jovial. Made us feel welcome. Loved this place and will come back again. The highlight of the evening was the dessert which was amazingly balanced and refreshing!!! It was heaven!! Kudos to the owners! Bill was also reasonable for the good food. My husband and I came here for our anniversary and I heave to say we wanted “nice” but had no idea or even expected this scale of “nice”. Perfect evening for us great wine great food and great service. Haven’t been this impressed with a place in a very long time.